If your HTC One (M7) has been misbehaving, there’s a very good chance that the cache partition is where the problem lies. The good news is that fixing it is simple. Here’s how to clear the cache on the HTC One (M7). In the non-tech world a cache is where a squirrel hides its nuts so it can find them later. In the tech world, imagine that the squirrel is Android, and the nuts are the temporary data files it needs to create in order to do its stuff properly. Now imagine that the nuts are all over the place and the squirrel’s furious. Have we taken that too far? Probably. But you get the point: Android uses the cache partition to store its temporary files, and if those files get corrupted or the cache partition starts to run out of room then that can start to cause problems with your HTC One (M7). Cleaning the cache on your HTC One (M7) simply gets rid of all the cache contents, leaving it shiny and new all over again without any unwelcome side-effects. It’s worth noting that if your problem appears to be caused by a specific app, trying an uninstall/reboot/reinstall might solve the issue. It’s definitely worth trying that before clearing the cache on your M7. You should also ensure that you're running the latest available version of Android and that all your apps are up to date. Many smartphone problems can be cured by updating everything. The method for clearing the cache on your HTC One (M7) is safe, straightforward and shouldn’t affect any of your files, settings or data. That said, it’s always a very good idea to back up your device before performing this kind of operation. Make sure there’s a decent charge in the battery, too. You don’t want your M7 to die halfway through the process. And that’s it. If your problem is still there after wiping the cache partition, you may need to perform a factory reset. While some devices have different cache clearing options on Lollipop, that isn’t the case with the HTC One (M7): the process for clearing the cache is identical on HTC One (M7) devices running Lollipop as it is on KitKat. All you need to do is to turn the phone off, boot it into Recovery mode and then use the Wipe Cache Partition option to clear the system cache on the device. 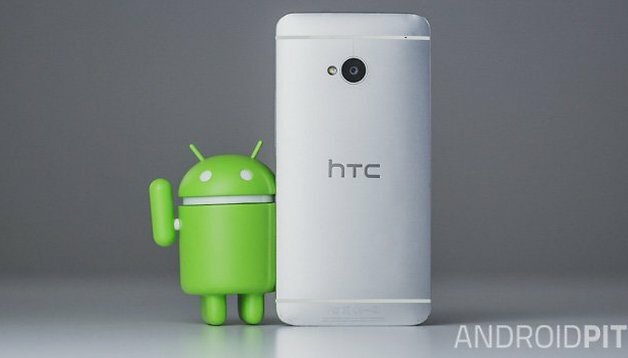 Reboot your HTC when the process has finished. Still experiencing problems after clearing the cache? Don’t despair. You aren’t out of options yet. If clearing the cache on your HTC One (M7) didn’t solve your problem, the next step is to try a factory reset. If you haven’t already backed up your important data, photos and other valuable information, do it now and make sure your Google account syncing is up to date too: a factory reset returns your device to factory-fresh condition so while it retains any Android updates you’ve installed, it wipes your data. Have you found that clearing the cache partition makes your HTC One (M7) feel shiny and new again, or have you encountered problems that needed more effort to fix? Share your experiences, horror stories or tips in the comments! Please tell me--would I be able to perform this very cache wipe on an Unlocked HTC One M7 that is a Developer's version? I was told by an HTC tech representative that it could lead to my phone becoming bricked, but not necessarily. This is very urgent. please how can I clear cache on my HTC ONE MAX? Tap the Apps icon (located at the bottom). From the 'Downloaded' panel, swipe left three times to view 'All apps' then tap the appropriate app. It's really good tips and many will appreciate much from it.